No surprise here. When charged with “SAVING THE PLANET” you are given a licence to lie and deceive, supplied by the office of sanctimony. NASA scientists claimed that 2014 was the hottest year ever! …Oops! Never mind. When the facts were subsequently checked, the NASA scientists sheepishly admitted that there was only a 38% chance this was true which means probably not true. One might come to the conclusion that climate experts can write this stuff with a clear conscience because the worst they can be accused of is an excess of virtue. 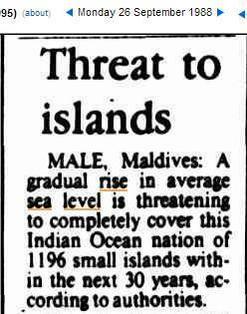 Experts say the 1200 islands of the Maldives will disappear by 2018. 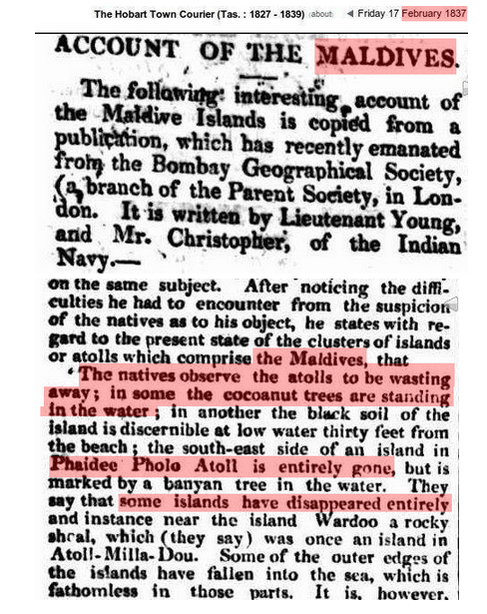 This is probably not going to happen, but the Maldives were disappearing in 1837. 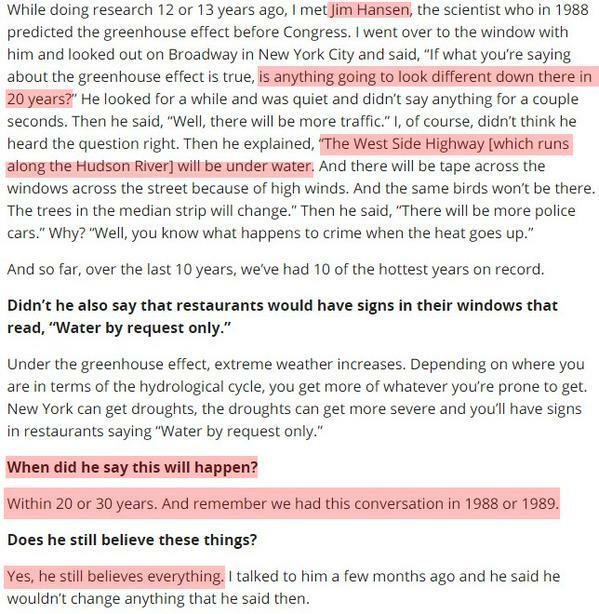 Experts also say that Manhattan will drown by the year 2018. One might come to the conclusion that climate experts are complete morons.